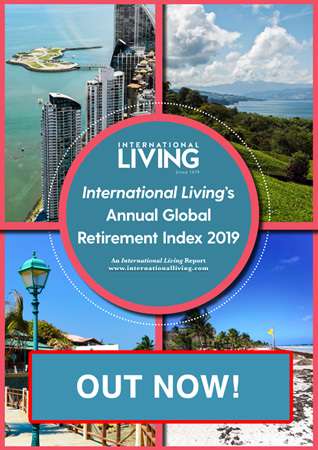 International Living’s just released Annual Global Retirement Index 2015 highlights the best places in the world to retire. This Index ranks the top 25 countries in the world for retirement in eight important categories. There are many perks available to retirees when you move overseas and one of the eight categories weights Special Benefits for Retirees. These special retiree benefits will help you save big. See below for the benefits you’ll receive in Panama, Ecuador, Belize and France—all four countries topped the Index in this category. For anyone considering a move abroad, a well-rounded location has to offer more than just a warm climate or a low cost of living. Ease of travel, proximity to home, safety, and affordable health care are key. Panama excels in these areas, but it gets a top score in the Special Benefits for Retirees category with 100 points. The Pensionado program helped Panama achieve the top score in the Special Benefits for Retirees category in IL’s Annual Global Retirement Index. No other country in this Index makes it as quick, easy, and inexpensive to become a legal resident. 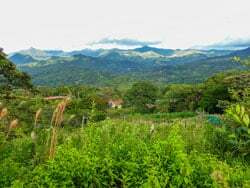 Though there are many options for the would-be resident, the best known is Panama’s Pensionado or pensioner program. To be eligible to apply, all you need is a verifiable pension of at least $1,000 a month—the equivalent of a middle class salary in Panama. The program grants permanent residence and access to the same discounts Panamanian pensioners enjoy. And these discounts are in every area imaginable, across the board. Enjoy entertainment? A first-run movie in Panama will cost you $5. But retiree residents pay 50% less. With few exceptions, they also get 30% off bus, boat, and train fares, 25% off airfare, 30% to 50% off hotel stays and 15% to 25% off at restaurants. And while all these discounts on travel and entertainment make life here fun, there are many that also provide peace of mind. Take health care, for example. Pensionados in Panama get 20% off consults and professional services; 15% off hospital bills, dental appointments and eye exams; and at least 10% off medication, with drug stores going as high as 20%. There are little clinics where you might not even bother asking for the discount. Where a consult costs $6 or less. But you can save even if you want to go to one of Panama City’s advanced medical centers (all of which are affiliated with hospitals in the U.S.). See a prominent neurologist, allergy specialist, cardiologist…you name it…for 20% off the regular consult price of $40 to $75. 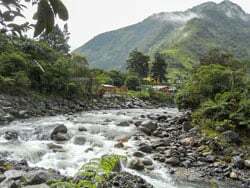 Senior discounts in Ecuador range from 50% off movie theater tickets to a free land line for local calls. Ecuador offers many advantages to those who expatriate here, and some of the best benefits go to retirees. For those aged 65 and over who hold a cedula (national ID card) there are many financial reasons why a move to Ecuador can make sense. To begin, those of tercer edad (the local term for senior citizens, it literally means “third age”) can receive a refund on the sales tax they pay on many items throughout the year. All purchases need to have an official receipt or factura with the individual’s cedula number printed on it. Then the receipts can be saved up and submitted to the local tax service (known as SRI) for a refund on qualifying sales tax paid throughout the year. Other breaks include discounted utility and property tax bills. Water and electric bills are decreased by 50% for seniors and property taxes are discounted as well. It’s even possible to have a free telephone land-line for local service. There are also some great discounts on entertainment and travel. Bus fares are cut in half for retirees and airfare is also halved (excluding taxes and fees) which makes visiting new places easy and often affordable. Tickets for cultural events and museums, sporting events, concerts, and even movie theaters run at 50% for those over age 65. In Ecuador you’ll have the time and the funds to enjoy frequent nights out on the town which just might keep you young in spirit. In Belize you can apply for the Qualified Retirement Program (QRP) at the ripe age of 45. Belize is well known for its gorgeous Caribbean seascapes, idyllic offshore cayes, beautiful beaches, eco-adventures and Maya ruins. But in addition to the country’s natural beauty, eco-adventure options and cultural offerings, Belize has established an enticing benefit program for retirees. The program is governed by the Retired Persons Incentives (Amendment) Act of 2001. Fortunately, you need not wait until you’re over 55 to qualify for the retirement benefits offered by the Belizean government. As soon as you reach 45 you can apply for the Qualified Retirement Program (QRP). And unlike most other countries’ retirement programs, you won’t be required to live in Belize full-time as a retiree. Once you become a QRP you’ll need to spend only one month a year in Belize to maintain your status. Once you receive a special QRP status card you’ll be able to come and go freely from Belize. Each year QRPs renew their status, but it’s a fairly simple process. QRPs are allowed to import all of their personal effects into Belize without paying any import duties or taxes. 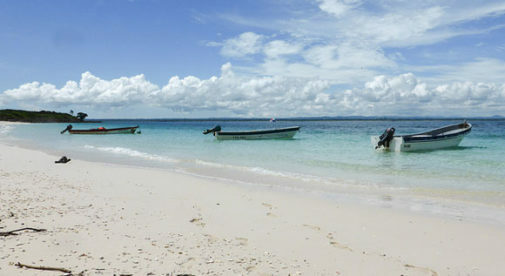 They can also import a personal car, boat, and plane duty-free and tax-free during their first year in Belize. Another major advantage is that QRPs are exempt from Belizean taxes on their foreign-earned income. 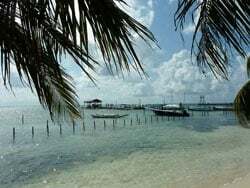 And although Belizean residents and citizens cannot have offshore U.S. dollar accounts in Belize, or offshore International Business Corporations, QRPs are allowed to have both. 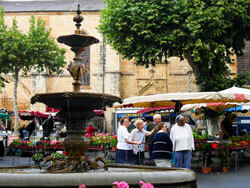 In France you’ll receive discounts on different forms of travel as well as price reductions on some tourist attractions. France knows how to treat its seniors right, especially when it comes to discounts (or concessions, as they’re called here). In both the public and private sphere, the 60+ crowd has ample opportunity to take advantage of price reductions and special offers. Sometimes you get these benefits automatically, upon showing proof of age. In other cases, you have to buy a reasonably-priced “senior package” to get the discounts, but usually the cost can be easily amortized. For example, SNCF, the French railway system, offers a “Senior+ Railcard” to people age 60 and older. The card costs €60 ($74) per year, but it offers a range of discounts. You’ll get a guaranteed 25% discount on any train ticket, even one purchased at the last-minute for the very last seat on the train. You’re also assured a 40%-discount on any first-class ticket you buy, again, even at the last minute. For book-ahead reservations, you’ll get up to 50% off of any full-price ticket you purchase for the high-speed train (TGV), intercity trains and TER, the regional commuter train. SNCF estimates that the card pays for itself within three round-trips. Air France, the national airline, also offers discounts to seniors age 65 and older without the purchase of a card. The discounts vary and are given at the time of reservation. But one thing Air France says is assured is that seniors may change their reservations without additional charge, and that under certain conditions, the ticket may be reimbursed. Senior discounts from 20% to 40% are also often found at the cinema, museums, theaters and some touristic attractions, such as Bateaux Mouches (Seine river cruises). Although it’s sometimes said that non-EU citizens aren’t allowed to take advantage of the discount, in most cases anyone can get the discount upon asking for it—especially if you look the part. It’s the one time you may want to make yourself look older than you are! Learn more about other great retirement destinations from around the world in IL’s free daily postcard e-letter.